Because of extenuating CIrcumstances we have decided to RESCHEDULE this training. Stay Tuned for more information! This day will consist of all 7 modules of the PSA Grower Training. Participants must attend the full day to receive a certificate. 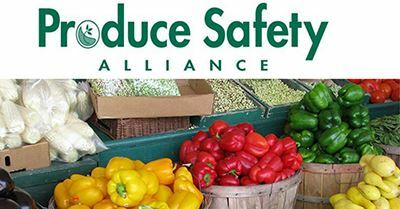 This workshop will focus on creating a Food Safety Plan. Attendees will have time to work through the parts of a food safety plan for their farm through collaborative methods with presenters and other attendees. Non-TOFGA Members: $15/day or $25 for both. Want to become a member? Sign up.